As a young girl in Florida in the 1890s, Augusta enjoyed nothing more than playing with clay. She would sculpt it into little figures: cows, chickens, ducks. Augusta's mother didn’t mind but her father, a stern preacher, felt the girl was wasting time on idle nonsense. 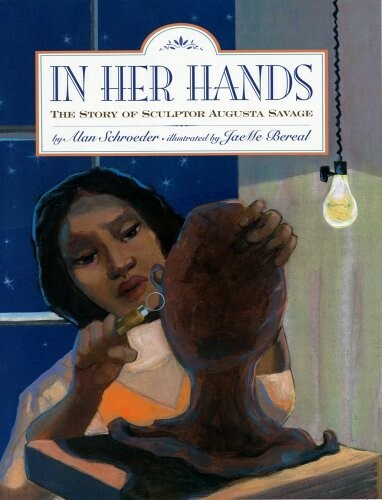 Augusta’s sculpting talent blossomed as she grew into a young woman. Eventually, she found herself at a crossroad. Augusta wanted to pursue a career as an artist, but to do so she would have to leave behind all she knew. With only her passion to guide her, Augusta headed to New York City to follow her dream wherever it might take her. 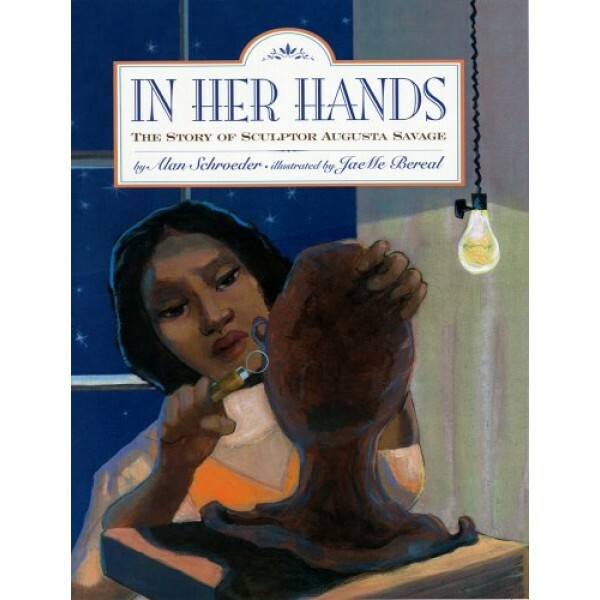 Award-winning author Alan Schroeder deftly weaves together known historical details to create a compelling portrait of this unique Harlem Renaissance sculptor. Warm paintings capture both Augusta Savage’s struggles and resilience as she skillfully carved out her own special place in art history as a major figure of the Harlem Renaissance.